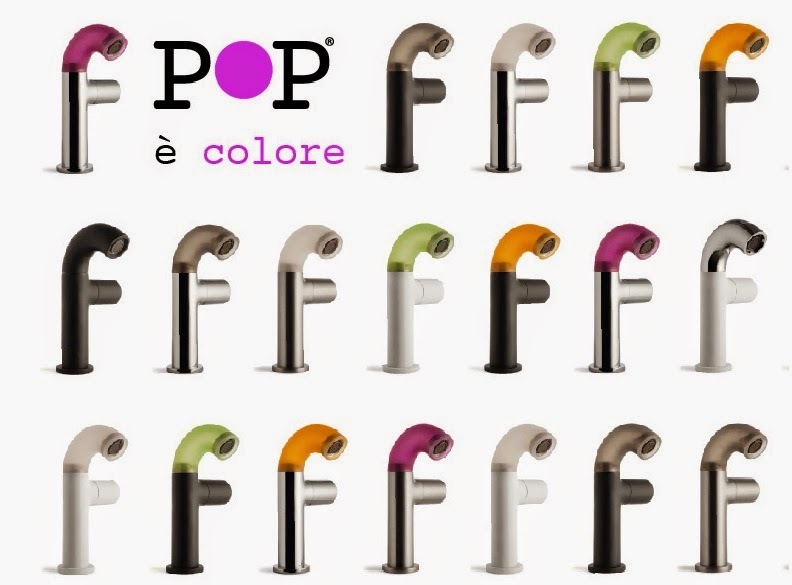 Ally Interiors : Zazzeri S.p.A. "Pop"
Bathroom ware doesen't get much more exciting than POP by Italian company Zazzeri. Already they are the winners of two awards for stunningly creative design through Red Dot and A Design Awards. The range comes in four metal finishes, along with a range of interchangeable heads in 6 silicone shades allowing up to 40 permutations. 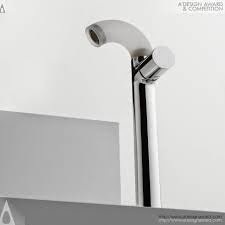 Consisting of taps in varying heights, shower heads, concealed and wall mounted mixers and more - this unique collection satisfies all the demands of both creative and function. 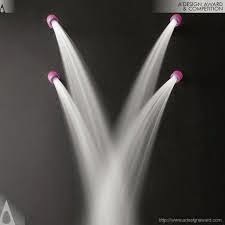 Their eco credentials are impressive with the ability to control the flow of water by offering a one touch facility on the flexible head. Playful and fun, POP heads also glow in the dark. This innovative and sturdy marriage of metal and silicone is unique. The products themselves are what you would expect from a company of impressive credentials in manufacture. POP delivers that splash of colour that makes bathroom design much more fun! 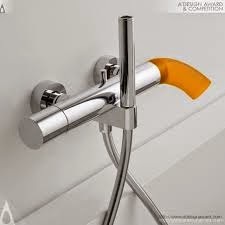 Why do fittings have to be chrome when you can mix black and orange , or chrome and violet. The overheard shower heads really can bring a showering experience to life. Or stay with a complete metal finish that oozes great design. Black fittings are certainly making a big impact in bathrooms at the moment, a trend we envisage to last for quite some time. Stylish white subway tiles with a black shower system looks fabulous. 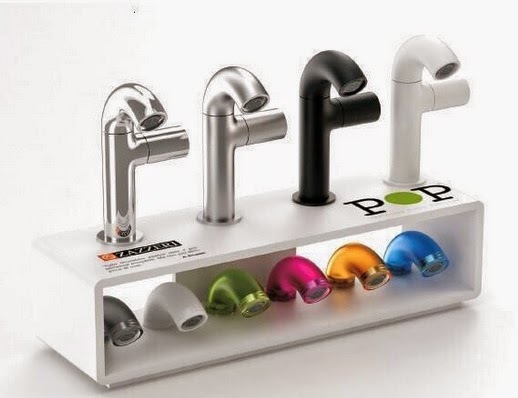 Whether you are looking for an alternative to the same old fittings available on most high streets, or have a contemporary scheme that would love that injection of colour, or designing for a child's ensuite - POP is definitely worth considering. The complete range of concealed fittings and valves means there is no worry about creating a complete system, although POP is compatible with all current fittings. We will be happy to advise and can offer best prices.